In 2018, the Dodge Journey has made the well loved third row bench, standard in every trim level. This SUV is powerful with its impressive technology, latest equipment, and fun interior. This Dodge offers a very competitive cost without letting go of any of its luxury. Comfortable seating, incredible engine power, and the latest in technology. What are the engine choices? Under the hood of the Journey, you will find either a 173 horsepower 2.4-liter inline-4 with 166 lb-ft of torque or a 3.6-liter V6 with 283 horsepower and 260 lb-ft of torque. The first engine is standard on the SE, the SXT, and the Crossroad trims, while the second engine is standard on the GT trim and on any trim that chooses all-wheel drive instead of front-wheel drive. The first engine was given a rating of 19/25 miles per gallon for fuel economy by the EPA. The second engine was given a rating of 17/25 miles per gallon for fuel economy. The inline-4 is matched to a four-speed automatic and the V6 is paired with a six-speed automatic. Overall, these engines are capable of towing a maximum weight of 2,500 pounds while properly equipped. The trims of the Journey are the SE, the SXT, the Crossroad, and the GT. The first trim comes standard with slide and recline second-row seats, 17-inch steel wheels, a height-adjustable driver seat, keyless ignition and entry, a 4.3-inch touchscreen, and a six-speaker sound system. This trim also comes with the option to add the Connectivity package, the Popular Equipment package, or even the Comfort/Convenience package. 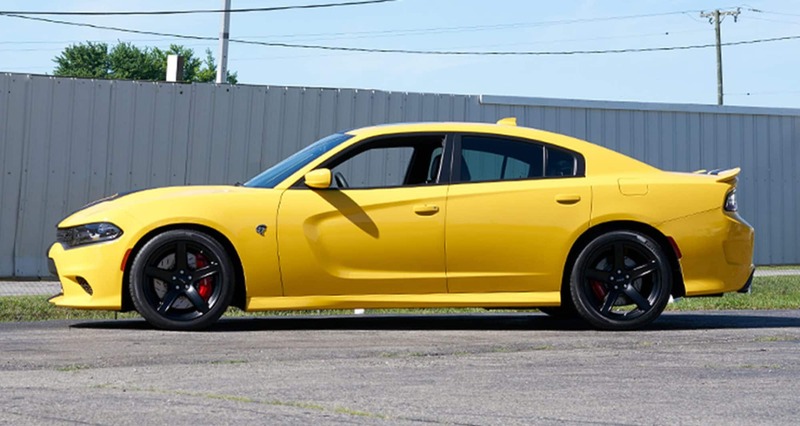 The SXT then takes the Connectivity and Popularity packages as standard as well as adds an 8.4-inch touchscreen, aimable interior lights, three-zone automatic climate control, rear parking sensors, overhead console storage, and a rearview camera. This trim can also add the SXT Premium package for a power adjustable driver seat, satellite radio, a leather-wrapped steering wheel, and a conversation mirror. Next is the Crossroad with features that includes all of the Uconnect 8.4-inch touchscreen package and the 19-inch black-painted alloy wheels. You can also add a premium six-speaker stereo system, a sunroof, leather upholstery, heated front seats, or even a Driver Convenience package. The final trim is the GT with remote start, 19-inch alloy wheels, leather upholstery, a security alarm, a heated steering wheel and seats, and a premium stereo system. How many safety features are included? Standard features on the Dodge Journey would include keyless ignition and entry, active head restraints, advanced multistage airbags, keyless enter n' go, electronic stability control, trailer sway damping, all-speed traction control, electronic roll mitigation, side curtain airbags, remote proximity keyless entry, and driver's side inflatable knee blockers, and so much more. Additional features would be rear park assist, security alarm, a backup camera, and navigation. Have you been looking to add a little more adventure into your busy life? Come try out the Dodge Journey. It is sure to excite you with its impressive capabilities! If you have any questions please feel free to call us, fill out the form below, or even stop by and say hi.